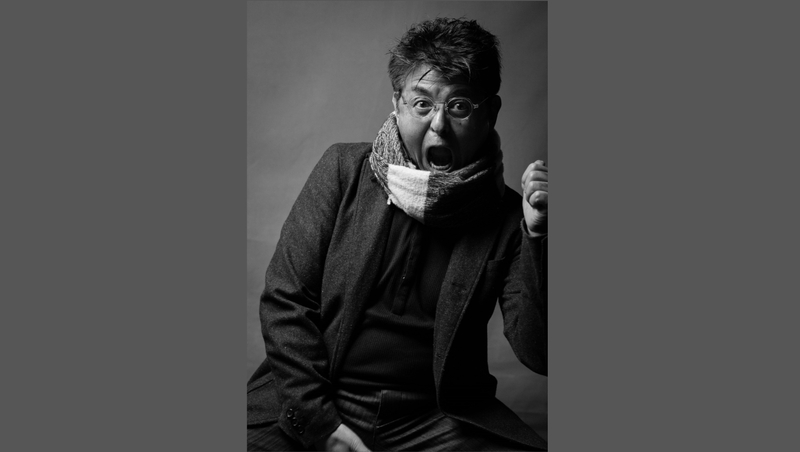 In the city of glasses [Sabae], we want to make people see better. Thanks to our sunglasses, we aim at protecting everyone's eyes from the ultraviolet rays, etc. Since 1953, we were devoting ourselves to producing only sunglasses. However, we are now designing, manufacturing and selling products concerned with shortsightedness issues. Thus, we now have a brand for the sunglasses lenses that we are producing, we also have our own company's brand called [All Time Sunglasses], and we are providing loupes that you can offer. 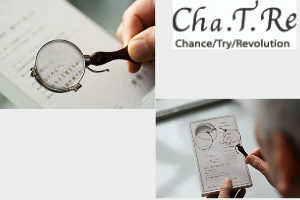 We recommend our original products, our loupes made to be a gift, and our products' brand [Cha. T. Re Loupe] and [All Time Sunglasses]. Show your gratitude by offering our loupe. With its light and strong titanium frame, it is difficult to develop an allergic reaction to our product. By making letters, etc. 2 times bigger, our lenses make it easy to see (plastic lenses), but it is also possible to walk and carry our Loupe as it weighs only 7g. 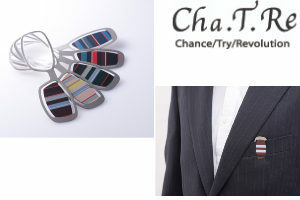 The motif are properly made by the city of glasses [Sabae]. This pendant style Loupe has been designed to satisfy the wish of our customers looking for a fashionable loupe that prevents them from noticing their farsightedness. Thanks to its similarities with a drop of water effect, our lenses will enable you to enlarge and see ordinary things, such as small characters, or fine objects, etc. 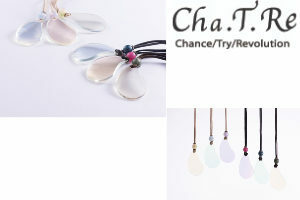 Our product will become a shining accessory, similar to a drop of water, when it is struck by the sunlight. And thanks to its simple design you do not need to think about the clothes you will wear. When you will be wearing the drop shape loupe, you will be overwhelmed by the beauty of objects, and it will enrich your life. 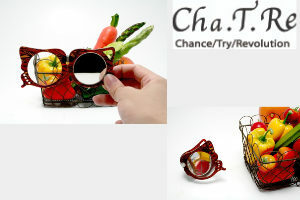 In Sabae, the city of glasses, we produced a great loupe with butterfly motif, that you can offer. You are out or you go shopping and you want to see something a bit bigger? Just take out your loupe and use it with style. The plastic frame (cellulose acetate) made mainly from cotton wool, is just like a glittering butterfly. Those glass lenses, dedicated to the loupe with wing shape, are thin, light and are making objects 1.7 times bigger without distorting the field of vision. On the other wing, the mirror reflects the Peoples’ real skin color softness and color tone thanks to the glass features: high transmission and silvering glass, and the best reflectivity rate, about 97%. If you fold the two wings, the rate of magnification will be about 8 times bigger making this mirror convenient for make-up. How about leaving the loupe on your desk as an art object when you don’t use it? Moreover, if you want to offer our loupe, we made arrangements to use the most suitable dedicated envelope and pouch, in which you can add a thank-you message card. Enjoy being able to see, but also the pleasure of life. With our [SWINGLASS] you will not only enjoy being able to see, but you will also enjoy the pleasure of life. We developed this loupe not only for people to see, but also to help people with farsightedness enjoying their life. Because we adapted the size of the glass to the people’s hands, it has a compact frame making it convenient to carry. Our product has two features: it can be used as a loupe with a 3 times magnification, and with only one push you can have access to reading glass amplifying characters 2 times. Because you have the glass in your hands, you will instantly be able to see the spot you want to check. This product, made in the city of glasses [Sabae], is composed of a frame in pure titane and light but strong lenses. If you want to offer our glasses to someone, we will prepare a dedicated package. [All Time Sunglasses] products are sunglasses that you can use daily. 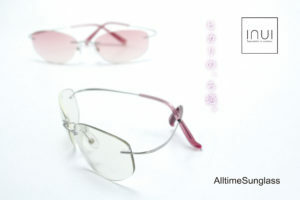 For our [All Time Sunglasses] brand, we are using [Hyde Lenses] (patent number: 4643233). We developed special lenses that can be used everyday (whatever the time and place). This is possible thanks to the Hyde Lenses features: transparency of high colour lenses, but it is also gently cutting the blue light rays (including the sunlight and artificial lights) to protect sensitive eyes and to protect from the brightness of lights. This product will support your daily life to make it pleasant. OEM Sunglasses Lenses Manufacturer; Manufacture and Sales of sunglasses, reading glasses and loupe. 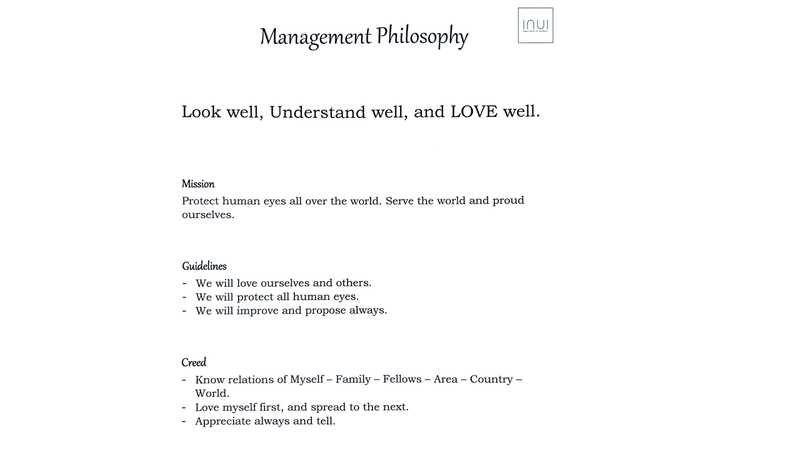 Look well, Understand well, and LOVE well. Protect human eyes all over the world. Serve the world and proud ourselves. We will love ourselves and others. We will protect all human eyes. We will constantly make improvements and proposals. Know relations of Myself – Family – Fellows – Area – Country – World. Love myself first, and spread to the next. Be always grateful and transmit those desires. It is a proposal that only our company, INUI LENS can make. Thank you very much for regularly using our lenses since a long time. Since 1953, our company was focusing on producing and selling sunglasses lenses. While trading with America, etc., we learnt how to design and produce sunglasses lenses based on international standards. Nowadays it is not enough to only provide good products to customers who are end-users. Therefore, we are proud of our firm specialized in sunglasses lenses, as it is the only one able to provide end-users with good lenses and our own firm’s recognized standards. The product called [All Time Sunglasses], is a brand of sunglasses that fits the life of Japanese people thanks to our know-how. Our eyes are important as they cannot be bought with money. Thus, from now, to have a happy life, sunglasses are absolutely essential. We can protect not only your eyes from the ultra-violet rays, but also the area around your eyes. Our sunglasses will protect you against the photoaging phenomenon caused by ultra-violet rays, and will give the area around your eyes a young-looking and refreshed aspect.